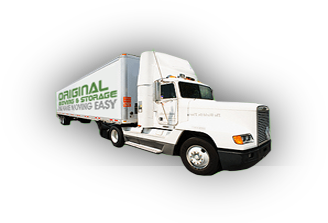 Read more about our moving company. What is a White List? Unsolicited, unwanted advertising eMail, commonly known as 'spam', has become a big problem. It's reached such proportions that most eMail services and Internet Service Providers (ISPs) have put some sort of blocking or filtering system in place or begun relying on self-proclaimed blacklists to tell the good guys from the bad. We at DC Long Distance Movers applaud their intention to protect you from spam, but everyone agrees that the current systems for stopping spam are far from a perfect solution. They often block eMail that you've requested, but that fits somebody's idea of what spam looks like. The more responsible anti-spam activists are working hard to cut down on these 'false positives', but in the mean time, you might unexpectedly find you're not getting your DC Long Distance Movers welcome email or member updates. As it happens, there's something you can do to keep your DC Long Distance Movers emails from falling into the false positive trap. You can fight the blacklists with a 'White List'. White List us now, before your membership is interrupted. Of course, every eMail system is different. Below are instructions for some of the more popular ones. If yours isn't here, please contact your ISP's customer service folks for their instructions. First, add the address: Support@DC Long Distance Movers to your address book. Next, follow the instructions for your eMail provider or software listed below. Use the drop-down menu to quickly jump to these instructions: Mail Programs like Eudora, Outlook/Express etc. AOL Yahoo Mail Hotmail Many popular eMail programs, including Outlook, Outlook Express, Eudora, and Netscape Mail, don't provide a convenient way for you to White List the folks you want to receive email from. Sending Address: If they ask for our address, give them the address; Support@DC Long Distance Movers as the email. Select the screen name we're sending your DC Long Distance Movers emails to. For AOL version 9.0: You need to add our sending address to your 'People I Know' list. Open your latest DC Long Distance Movers email. Click the Add Address button (over on the right) to add support@DC Long Distance Movers to your 'People I Know' list. Click in the text box next to that pull-down menu, then enter the address in the 'From' line of your most recent DC Long Distance Movers. 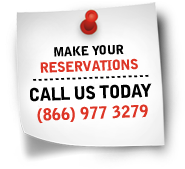 In the space provided, enter the address in the 'From' line of your most recent DC Long Distance Movers email. Thank you for White Listing DC Long Distance Movers. Copyright (c) 2019 DC Long Distance Movers.All Rights Reserved.